Can I cut the cable now!? It sometimes seems as though rumors of a paid Hulu subscription service have been floating around since the primordial soup. But on Tuesday, the video-streaming site officially announced that the service, dubbed Hulu Plus, will debut soon for a fee of $10 per month. 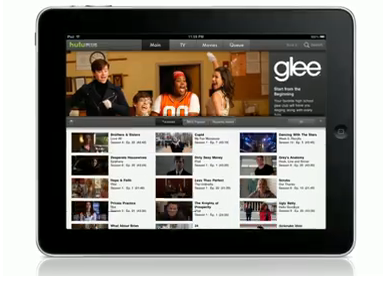 Hulu stresses that Hulu Plus is not a replacement for the standard Hulu service, but rather an additional service. The main attractions here are twofold: the first is content-based. Hulu Plus will not only get you every episode of current seasons for certain shows, but it will also provide access to the entire catalog of older shows—think all seven seasons of Buffy the Vampire Slayer or all three seasons of Arrested Development. Hulu says all native HD content will be streamed in 720p high-definition video, though it’s unclear as to whether that will be true for all devices. Speaking of devices, Hulu Plus will give you access on gadgets other than just your computer. Right now, the service can stream to your Samsung Internet-connected TV or Blu-ray player; support for Sony and Vizio TVs and Blu-ray players is expected this fall. You’ll also be able to watch via your iPhone, iPod touch, and iPad, over 3G or Wi-Fi thanks to a forthcoming Hulu app that will apparently serve up video in an iOS-compatible format—for which read “not Flash.” (One would hope there might also be an app for the normal Hulu service, but it’s unclear at present.) Support for game consoles is coming as well, with the PlayStation 3 first, followed by the Xbox 360 in early 2011. And, of course, you can always still watch on your computer. Now, Hulu describes Hulu Plus as an “ad-supported subcription product,” which may have you scratching your head. After all, if consumers have to pay, shouldn’t they be able to forego ads? Apparently not; Hulu says that the ad revenue helps it keep its subscription fees low. It remains to be seen whether the ratio of ads to content will remain the same with the new service. At the moment, Hulu Plus is available by invitation only. Interested users can sign up for a chance to test the service (after providing brief demographic information) and Hulu also hints to watch its Twitter feed and Facebook page for a chance at getting access. With Hulu Plus’s support for all of Apple’s mobile devices as well as its traditional computers, the lone hole in Cupertino’s line-up is the much-neglected Apple TV, which, ironically, seems like a perfect fit for the service. Will Apple respond with a network-friendly iTunes subscription service of its own? An Apple TV running a form of iOS? Hold onto your hats, ladies and gentlemen—this horse race just got interesting.